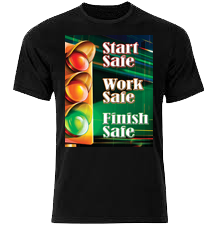 Safety T-Shirts for American Industry with FREE custom Design. 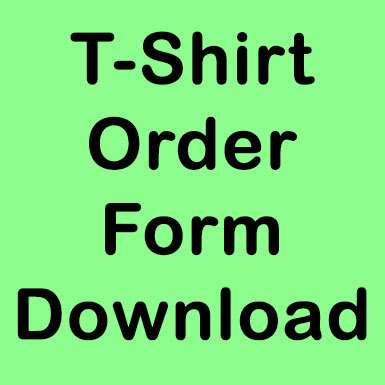 Put ANY of our images AND your logo or YOUR image on a t-shirt - any color, front, back or both. Order 1 to 100,000. IMPORTANT: We use only HIGH QUALITY heavy weight Bella-Canvas t-shirts. Bella-Canvas t-shirts are 100% Airlume combed and ringspun cotton. It is soft yet ultra durable. This t-shirt has a unisex fit. Our state of-the-art t-shirt printing equipment has arrived and we are now printing safety awareness t-shirts for American Industry. You can use any of our images or we will design a t-shirt just for your facility for free on orders of 10 or more. You will be AMAZED. Every member of your facility safety committee should have a custom designed Safety Committee T-Shirt. - Add your logo at NO CHARGE. - Order from 1 to 100,000. - Get them on site quickly.